Our windsurfing instructors guarantee a smooth, safe introduction to the sport with courses that will turn anyone into a confident windsurfer. Lessons are taught in a series of progressive steps, always moving onto the next stage once the current teaching points have been mastered. Beginners start out with an introduction to the theory and practice of windsurfing with simulations on dry land where applicable. Once this has been mastered and confidence built, you then move onto learning on the water. This allows you to get used to the feel of standing on the board and the techniques of steering and control. At the end this stage, you will be able to steer the board using the sail, and to raise the sail out of the water by uphauling. Further practice then takes place in the water and you learn methods of turning the board around to sail back in the opposite direction. 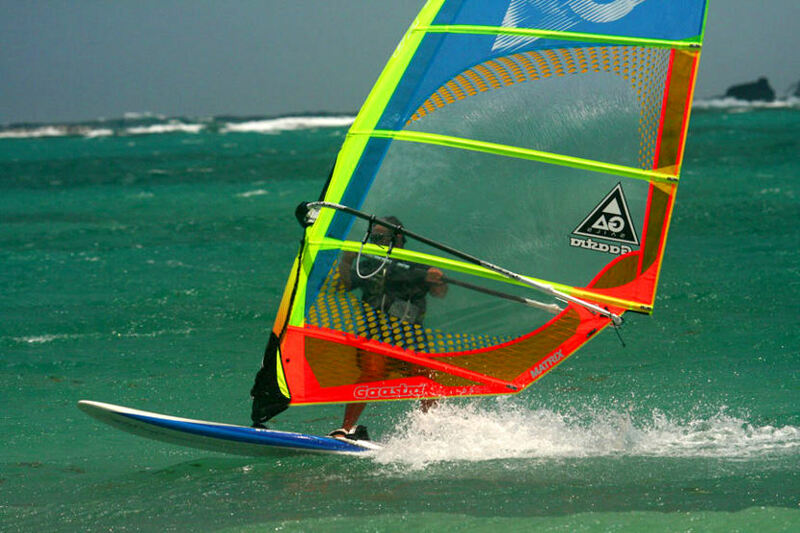 At this stage, the basic skills for successful windsurfing have been learned. Once you have successfully completed the beginners course, you can learn further techniques in the advanced course such as using the harness and footstraps and sailing upwind . 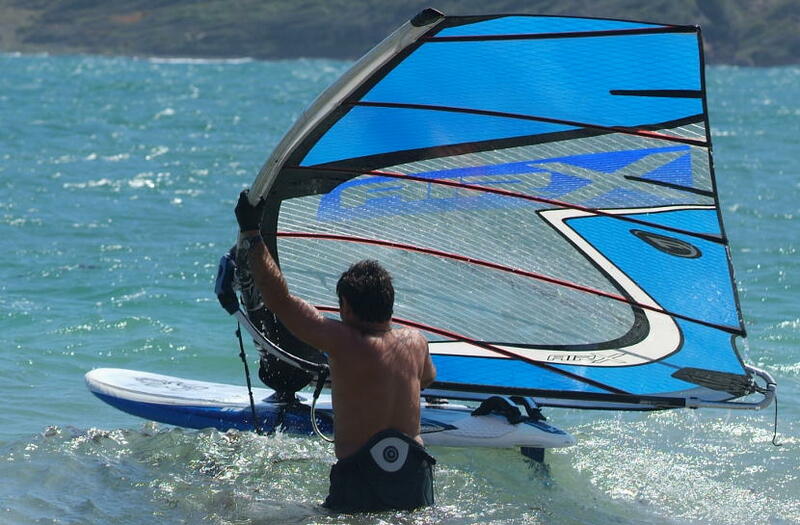 We also offer courses for advanced windsurfers, where manoeuvres and techniques can be enhanced … it’s your chance to get in those first tricks. Naturally a rescue boat is at hand during instruction. Please note that all courses depend on there being suitable wind conditions. The use of all equipment is included in the cost of the course.